Rachel Neylan is an Australian professional road cyclist. She won a silver medal at the 2012 World Championships in the women’s road cycle race event. She has always been a passionate athlete, starting out at Ryde little Athletics Club in Sydney at the age of eight. From a young age she was always determined to make her opportunities flourish. She was immediately in love with sport and the quest for optimal physical performance. She trained through every setback, opting for alternative methods of training. She learned how to cope with the adversity. She never won races but persisted, She quickly discovered that dedication and hard work yields the most. After applying the same diligence to her high school study that she had toward my sport, She gained a UAI score of 97.5 and immediately commenced a for four year Bachelor of Applied Science in Physiotherapy at Sydney University. She graduated at the ripe age of 21 and went to work in one of Sydney’s premier sports medicine clinics. Learning and growing with a balanced formula in life, work, study and sport – hence executing through passion and true happiness has always been a fundamental value of her’s. She took the long or ‘alternative’ way round to find cycling. On the hunt to find a sport that would provide a better return for investment than her hurdling pursuits. She used her professional networks in elite sport and knowledge of sport science to underpin her research and investigation into a potential new ‘pathway’. She took up rowing for 12 months, and excelled in the endurance aspects but time and skill refinement were against her. She returned back to running – this time middle distance. She immersed herself in her prosperous sports physio career in Sydney enjoying contracts with the AIS, NSWIS, Australian Rowing Team, Australian Polo, and the Sydney Swans AFL Club. In August 2007 following a work trip she found herself in Lausanne Switzerland at the Olympic Museum reading quotes ancient Greek quotes and those from greats like Muhammad Ali. This was the ignition. She came to the realisation that wearing green and gold as a support staff member, She was simply on the wrong side of the fence. She had a burning desire to become a world class athlete and Olympian she decided to do something about it. That moment she turned her focus to actively search for an opportunity. 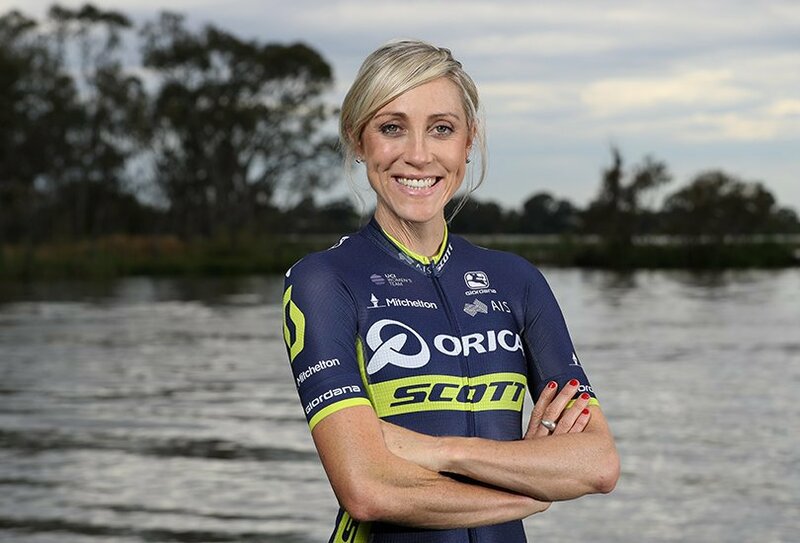 Within one month, she had discovered an Adelaide based women’s road cycling ‘National Talent Identification (NTID) / Talent Transfer’ program commencing that month. She performed required testing and was subsequently selected to join. She downed her physiotherapy tools, left behind my family, friends and career in a bold leap of faith and relocated from Sydney to Adelaide to begin cycling training under the NTID / SASI cycling program. Through passion, dedication and sheer hard work she has proven her potential in the sport. She was recently placed second in the 2012 UCI World Championships. The self-driven and self-funded foundation years have made her appreciate every progression she made. She now know she have what it takes to be the best, however this is only the start of the journey to the top! She is excited with her clarity of vision and motivation to execute exactly what it takes, embracing every challenge along the way. She has a drive and focus resonating strongly with a consolidated strategic plan and framework for the next five years. Her mission is the pursuit of excellence in cycling performance. Her vision to become World champion and Olympic medalist. Her large focus is toward selection for the Rio Olympics in 2016. Just five years ago she was drew upon courage driven with passion, made a change, and embarked on a cycling career. In September 2012 she stood proud on the World Championships Podium with a silver medal. She has a strong will to succeed further in becoming a World Champion and Olympic cyclist. Aside from being a professional athlete, She is proud of her attributes off the bike – focused, ambitious, driven, hard working, spirited, and passionate. The motivation, energy and enthusiasm she has to engage and share her experiences along the way gives her the greatest reward. She train and race fueled with the philosophy of Latin proverb ‘Gutta Cavat Lapidem’ constant dripping wears away the stone / persistence prevails. She has proven this to herself and enjoy sharing her story with others – there is simply nothing that can replace grabbing an opportunity with both hands and investing pure hard work.